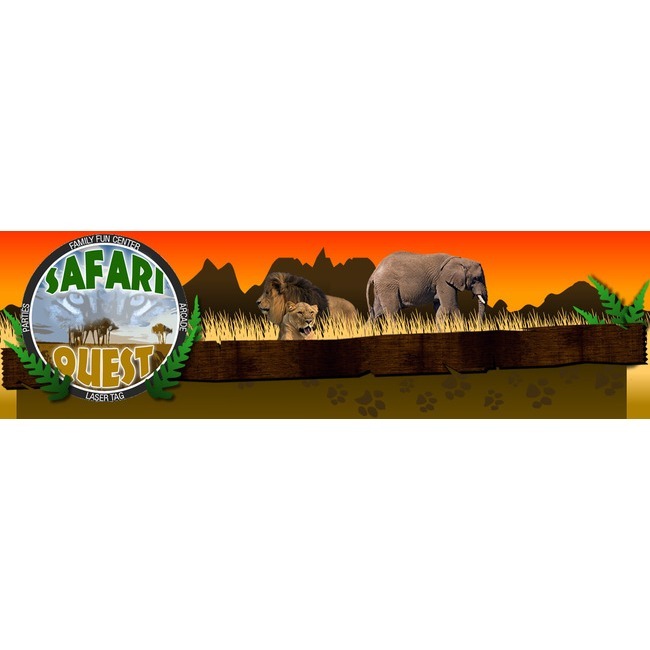 Safari Quest Family Fun Center features a 3,000 square foot multi-level LASER TAG ARENA, Human Hamster Balls, Coconut Climbing Trees and a huge arcade with the latest video games. Please click on the Events Calendar above for Holiday Hours of Operation. 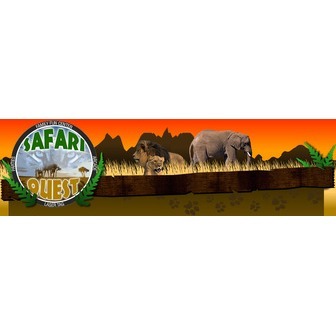 Safari Quest is the perfect place to celebrate birthdays, family reunions, corporate events and more. We also offer field trips for schools and community organizations, as well as fundraisers. So, COME TAKE A WALK ON THE WILD SIDE at Safari Quest Family Fun Center! We are now officially OPEN as of December 10, 2010! Our facility is themed in a safari motif with thatched tiki huts and jungle gardens. We have four areas where parties can be held every hour on the hour. We have a 3,000 square foot multi-level laser tag arena with the latest equipment. Safari Quest is also the first family fun center to feature Human Hamster Balls in Louisiana! Our newest attraction this summer is the coconut climbing trees inside the arcade area. Much like a rock climbing wall, only a bit more challenging! We hope to be THE attraction of choice in the Hammond community. Let us help you plan a Birthday Party, Holiday Party, Youth Group Outing or Corporate Event. Our party planner is available by phone Monday through Friday from 9am to 4pm. 985-340-5858 ext 5. Or you can click on the link for parties and email a party request form. Someone will call you back as soon as possible.